←What Do You Do For A Living? Recently I needed some melamine (type of manufactured wood) ordered and cut. I use this material to build forms for the countertops my business, Nick Dancer Concrete, fabricates. 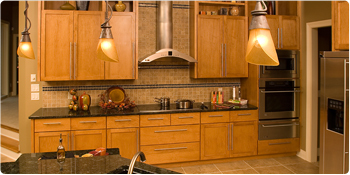 I called around to a couple of woodworkers and was recommended to a local company near Fort Wayne, Harlan Cabinets. After explaining what I needed, Jim, one of the partners of the business, told me that they did not carry what I needed but If I purchased it somewhere else he could still cut it for me. When I arrived at Harlan Cabinets I was met by David, Operations Manager at Harlan Cabinets. I had never talked to David prior to my arrival, but he was fully aware of what I needed done. He directed me to a door where I was met by Floyd, who runs the beam saw that was going to rip down the sheets for me. Floyd did a great job. He was quick, accurate, and even taught me a little about the beam saw that was doing the cutting. Through this whole experience I realized why Harlan Cabinets have been so successful. They treated me with respect and kindness the whole time. It’s defiantly the small things that make great companies. Harlan Cabinets, through this small experience, has left the impression on me that they could be a great company to work with and one that I want to share my experience with. What type of experiences have you had with a company that proved to you that they were great?